This design is a lovely blend of color and weaving technique known in Sweden as 'Ripsmatta' or rep weave. The design is achieved by using a very closely set cotton warp in alternating colors, as well as alternating a thick and thin weft. 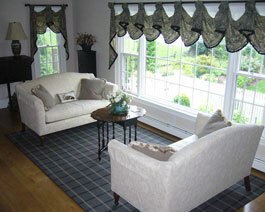 The result is a wonderful geometric design of squares and rectangles that is extremely durable and easy to care for. The ends are self-bound for a clean finish appropriate to this design. 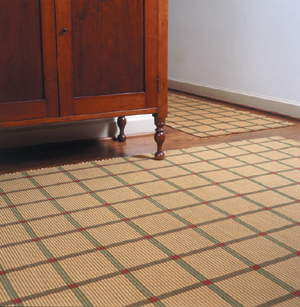 Block Design rugs are easy to custom-color and can be custom-woven to include a border or other pattern variations. Block Design rugs may also be custom-ordered in wool. Please inquire. Swatch Service, Return Policy, Gift Certificates and more. additional fee to set up a loom.Please inquire.